Reminiscent of Art Deco design, the Parigi Night Table by Rugiano Interiors will bring a touch of glamour to any bedroom scheme. Finished with either lacquered or ebony wood, the night table features intricate detailing in a choice of steel or bronze. Fitted with two slim drawers, the table is ideal for storing beauty essentials, notebooks and reading material. The handles are completed with the same complementary finish as the frame. Standing on a rectangular plinth base, choose contrasting finishes for visual interest or keep to the same lacquer or wood for a cohesive look. 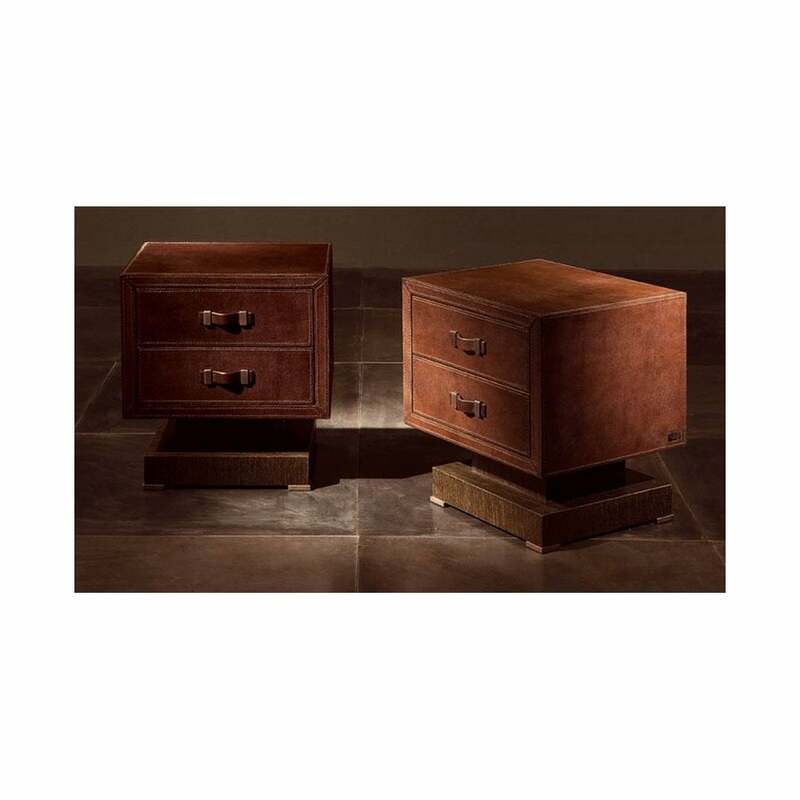 Available in two sizes, style with the Kenya Bed and Madrid Table Lamp from the Rugiano Collection for a sophisticated interior that epitomises Italian luxury.